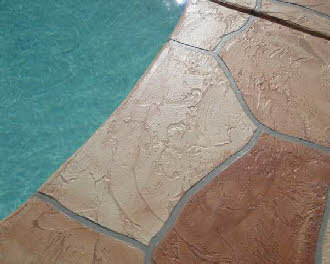 The decorative concrete industry has developed “skip-trowel flagstone” to meet the need for an affordable overlay that is installed without stamping. 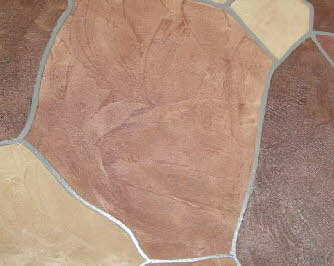 Our version involves applying the overlay with a trowel, and then cutting grooves to resemble grout lines. The grout lines are painted and the overlay segments are stained with colors of your choice.